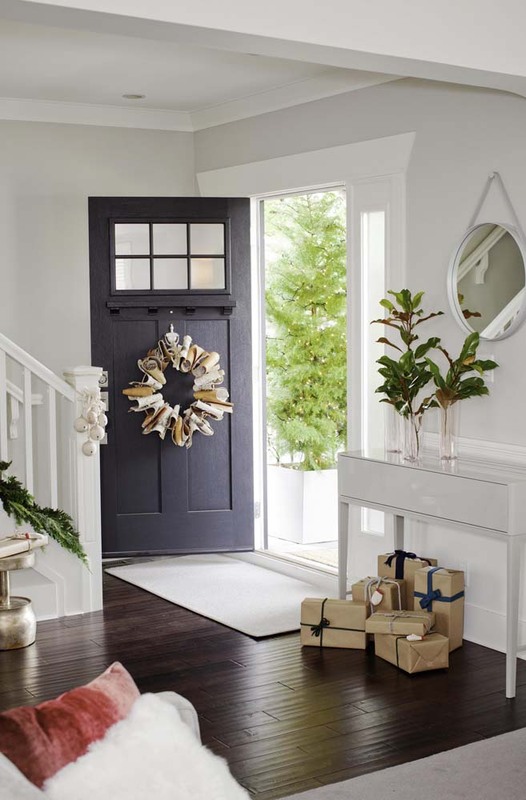 Today we're excited to share a holiday vignette with Chad Falkenberg and Kelly Reynolds, the duo behind the design studio, Falken Reynolds here in Vancouver. We're continuously inspired by their eye for detail and originality in their work. We like decor that has a feeling of authenticity about it - but in the rainforest on the West Coast we’re often without snow for the holidays. 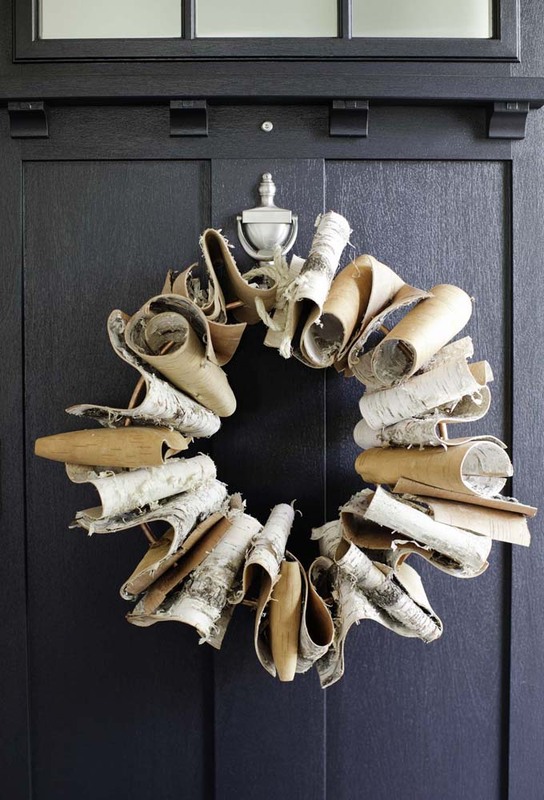 Birch bark is a great way to introduce white in a natural and quiet way. 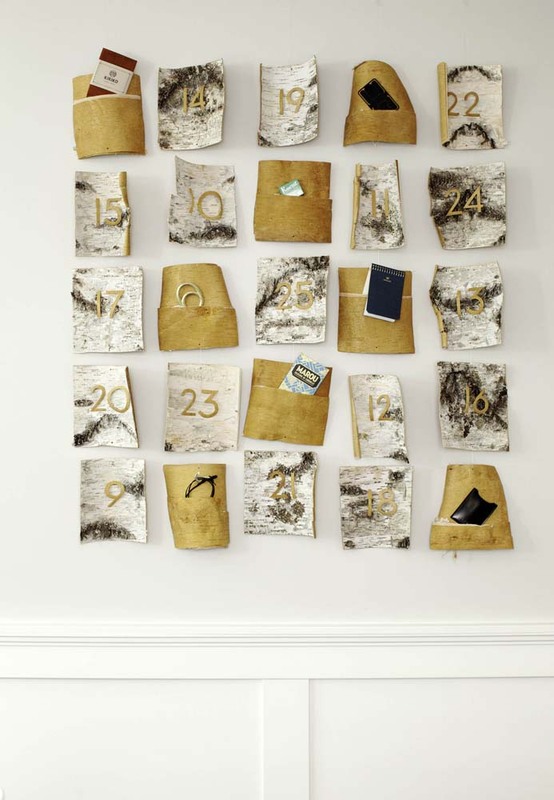 We used it to make an advent calendar but simply gluing two pieces of bark together with a bit of space to make a pocket. While cutting out the Neutra numbers took a bit of time, the bark cuts with regular scissors. The wreath was really quick to make - we had a friend bend a copper pipe into a circle that connects with a simple clasp. 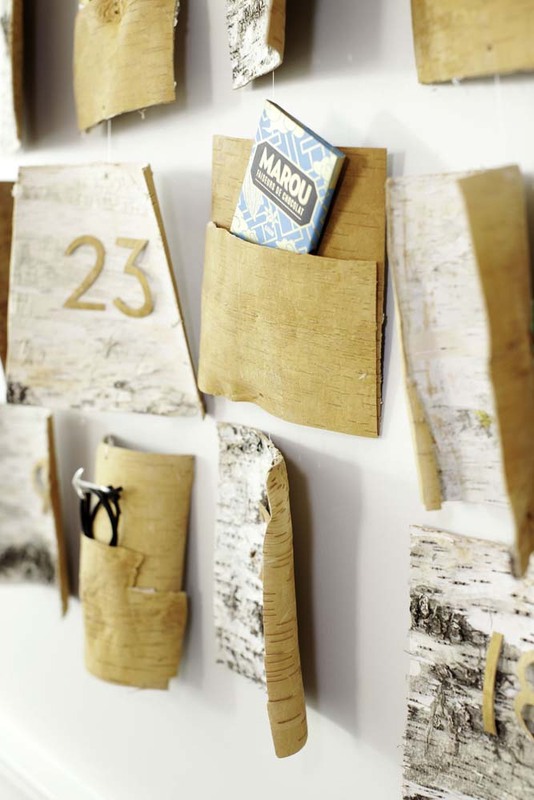 The birch bark is cut into rectangles. We poured a bit of hot water over the section we wanted it to bend. Then we quickly drilled holes through the centre of the square and thread it onto the copper. The bark dries pretty quick and then we rotate the squares and space out the white and brown so it creates a full wintery look. 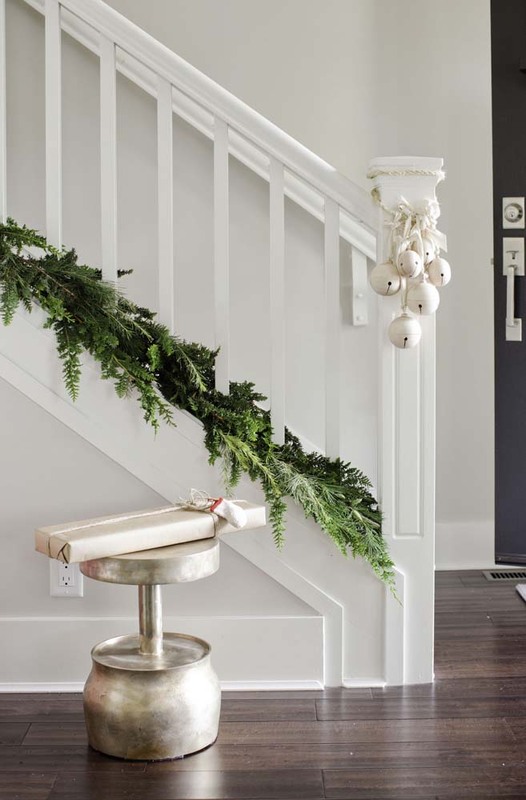 We used a mix of natural branches to create a garland for the stairs. The mix of pine, spruce and cedar gives a fuller look with a bit more variety and depth. 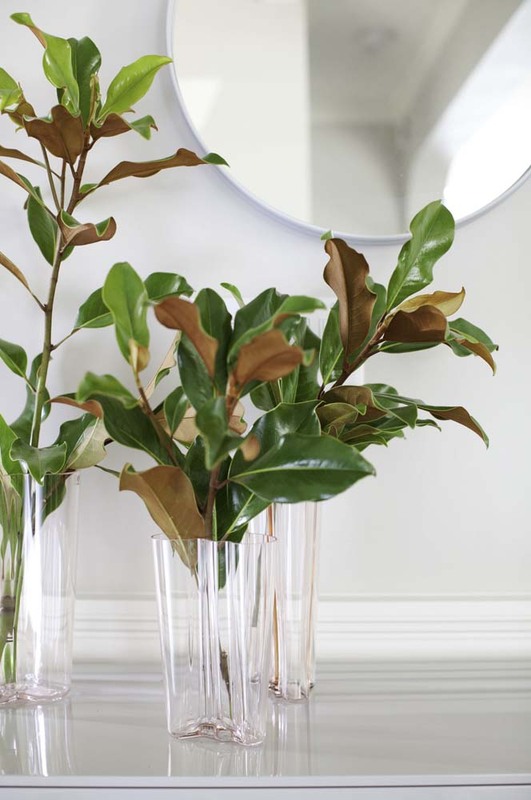 Magnolia branches are also great to add a bit of green with some depth. 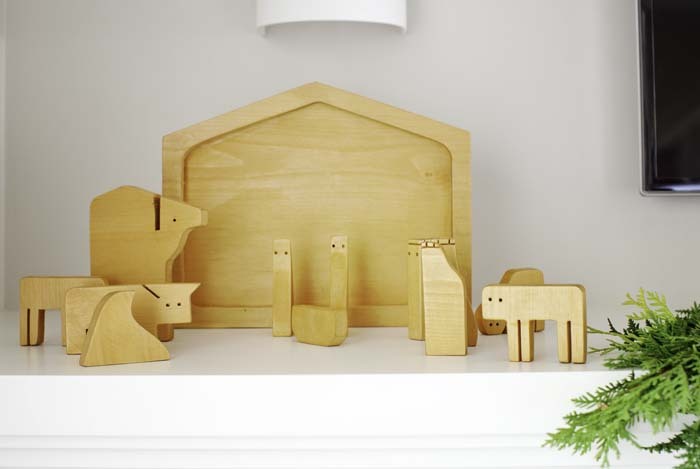 The nativity scene was handmade by Chad’s Grandfather. We have a group of friends who get together every year for Raclette - We’ve been doing it for nearly 15 years now… What’s better than cheese and wine? 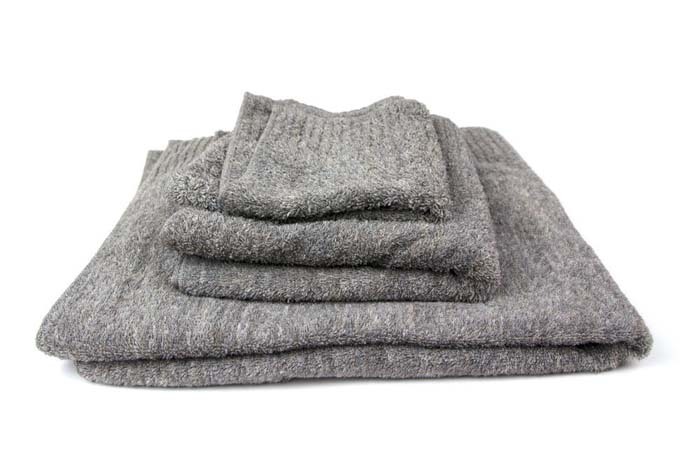 The grey Vita towels from Orling & Wu are incredibly soft and the colour is perfect for someone who likes a monochromatic look but without going white. 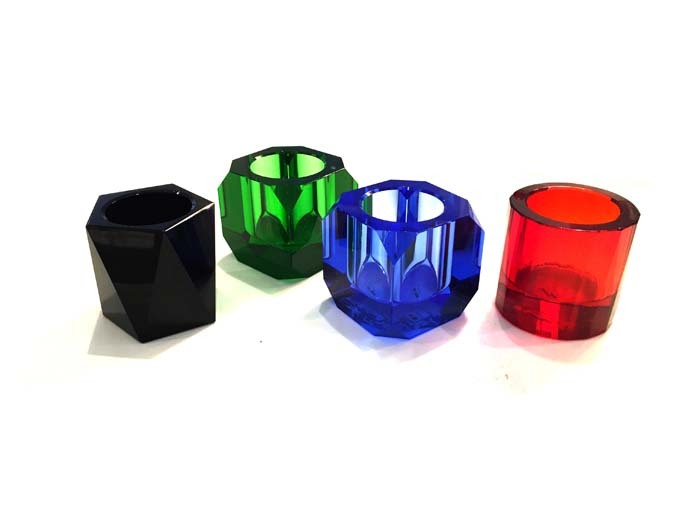 The Crystal T Lights from Seletti are available at Inform Interiors. 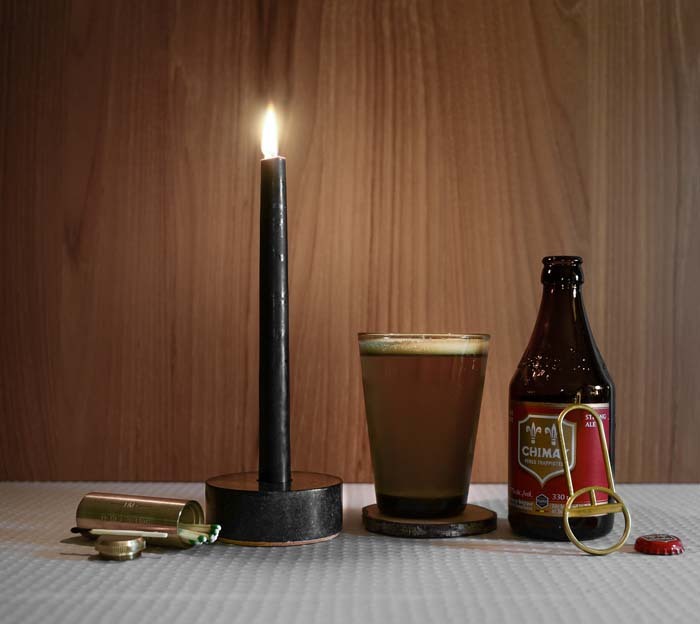 We love the bright colours and the how the candle light plays off the cuts in the glass. Thank you Chad and Kelly! 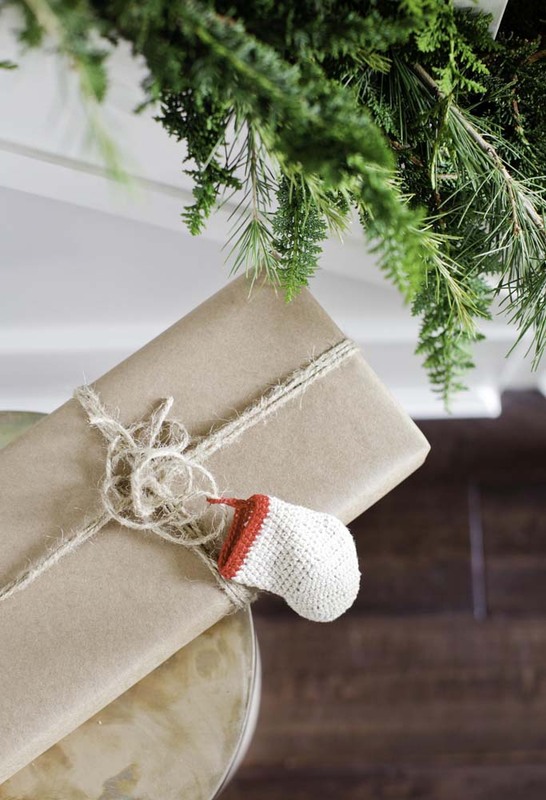 All photos (except product/gift idea photos) by Janis Nicolay originally for Western Living November 2014. I can't say that any of these are appealing to me...they don't speak Christmas or festive at all. I do understand that everyone has their own opinion and tastes and are entitled to them. Some true greenery or a pop of color might have changed my mind on a couple of these.